From the list of Returns-to-vendor you are able to receive payments from the vendor for returns, view statements, view payments that have been made and the invoices that are opened. Then, click the Return to vendor icon. Search for the vendor, in the search field or by scrolling down. 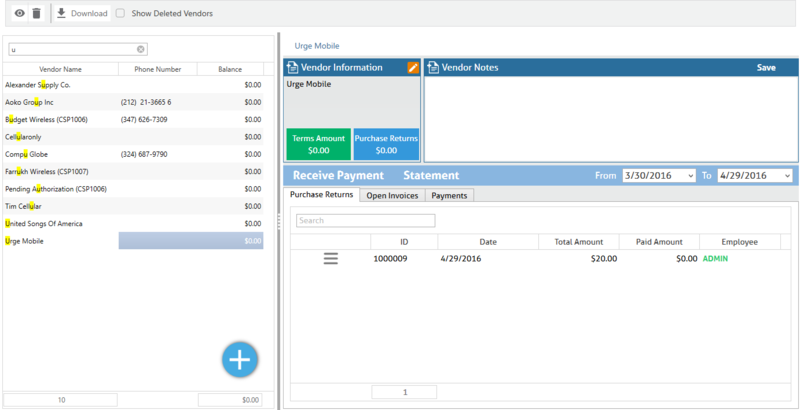 Select your vendor and click on the eye icon from the options to view the list of Purchase returns for the vendor.